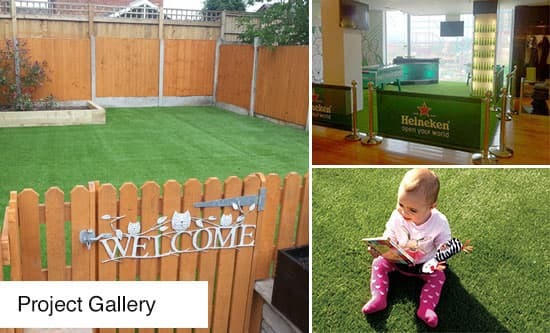 We are a Manchester based company that specialises in the supply and installation of artificial grass. Using artificial grass makes maintaining a lawn so much easier and keeps your garden looking good all year round whatever the weather brings. Our artificial grass is practically indistinguishable from natural turf - most people will not notice that it is man made fake grass. Same day free quotation - Please fill out our online form to receive yours direct to your email address. Request a sample pack to your door within 48hrs by filling out our simple online form. 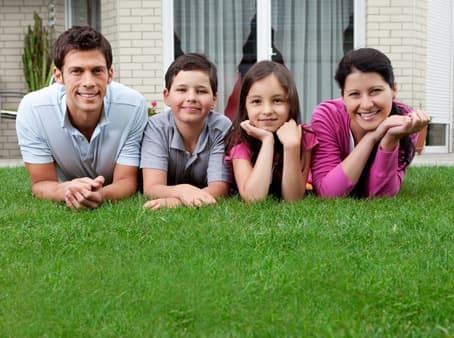 Check out our range of artificial grass products to choose from! For a closer look at the products we have on offer and details on these, download and print off our brochure. See what our customers have to say - take a look through our testimonials from some of our many happy clients. 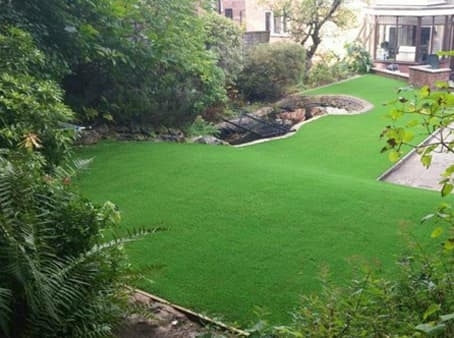 Unreal Lawns are an artificial grass company based in Manchester. We believe that value can be added to your home by improving its visual aspect. 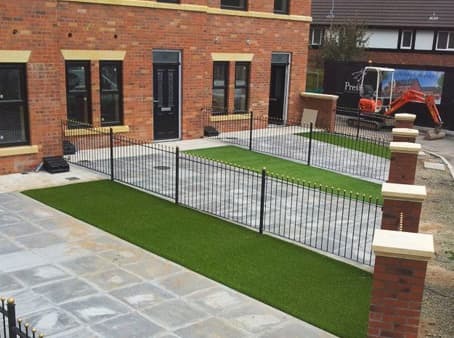 By laying artificial grass, your home will look good all year round and you won’t suffer any of the tedious disadvantages of a standard lawn. It is practically indistinguishable from natural turf - most people will not notice that it is man made synthetic grass. Put an end to mowing, weeding, disposing of grass cuttings and expensive lawn treatments. Free up your time to relax and enjoy your new garden. Free up space in your garage and shed as no garden implements are required ...ever! Artificial grass is available in a number of different textures and pile heights to suit any requirement you may have. 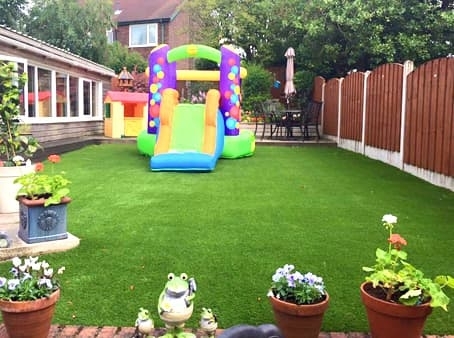 Unreal Lawns provide artificial grass products and services to customers throughout the North West of England including Manchester, Lancashire and the surrounding areas. For more information on our products or services please contact us or visit our frequently asked questions page. 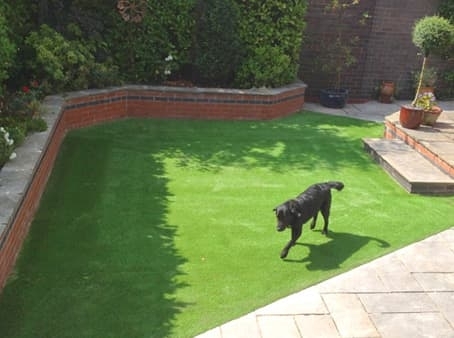 Transform your garden with our artificial grass solutions for a stylish and maintenance free lawn. We provide a smart and effective outdoor flooring solution that's perfect for commercial and public areas in and around Manchester. 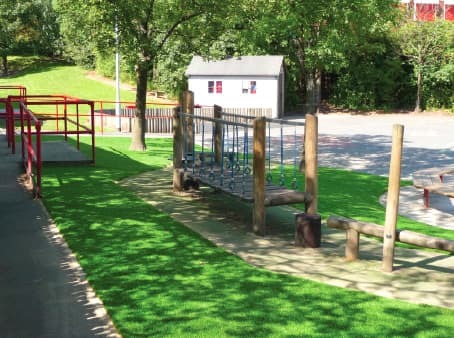 Our artificial grass is clean and safe, providing a child friendly outdoor environment ideal for use in schools. 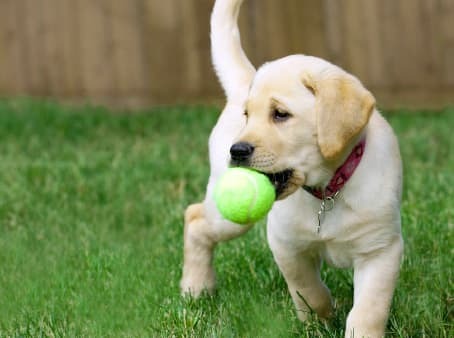 Our artificial lawns are safe and secure for pets and you'll no longer worry about those muddy paw prints. Are You Ready to Spring Clean Your Garden?